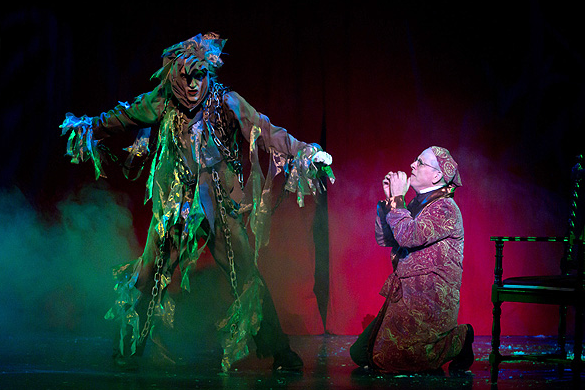 Scrooge meets with ghosts during the classic holiday story. 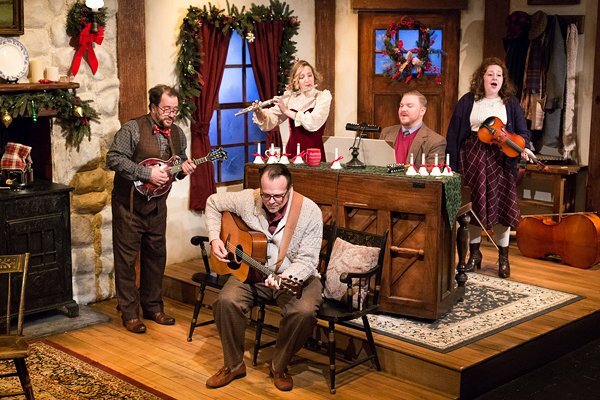 Each winter, Philadelphia puts on a range of holiday shows. There are theater productions, concerts, ballet performances and plenty of family-friendly options. In this roundup, find out when your holiday favorite returns this year or check out the new entertainment scheduled. The Walnut Street Theatre performance brings Charles Dickens' classic to life. Each year, families attend to watch as Ebenezer Scrooge receives a visit from the ghosts of Christmas past, present and future. Maestro Michael Krajewski will conduct an all-new lineup of music. Expect to hear "O, Come All Ye Faithful," "We Need a Little Christmas," "Go Tell It on the Mountain," "Let It Snow," "Hark the Herald Angels Sing," "Ave Maria" and "Silver Bells." There will also be a "Merry Christmas" sing-along. The 65-piece POPS orchestra will be joined by internationally acclaimed pianist and vocalist Tony DeSare, organist Peter Richard Conte, the Philly POPS Festival Chorus, the Philadelphia Boys Choir and the African Episcopal Church of St. Thomas Gospel Choir. The 10-show run begins on Dec. 2 with "I’ll Be Home for Christmas: A Salute to the Military and First Responders." Seeing "The Nutcracker," performed by the Pennsylvania Ballet, is a holiday tradition. The Sugarplum Fairy, the Mouse King and the Nutcracker Prince are family favorites. The Philadelphia Orchestra gets into the holiday spirit each year with multiple festive concerts. 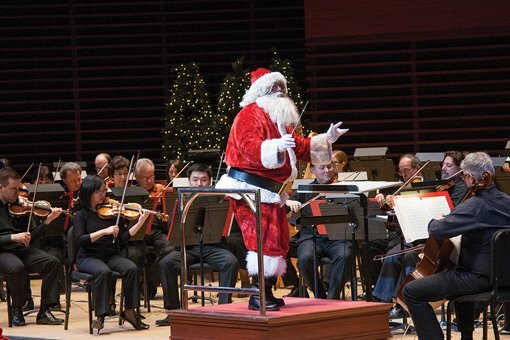 Children are invited to sing-along to holiday favorites at this Philadelphia Orchestra concert. Expect to hear songs like "Joy to the World" and "Deck the Halls." "The Glorious Sound of Christmas"
This Christmas concert features the full Philadelphia Orchestra and choir. It will be led by Thomas Wilkins this year. For many, the concert is a holiday tradition. Trans-Siberian Orchestra: "The Ghosts of Christmas Eve"
The story is about a runaway girl who takes refuge in an abandoned theater on Christmas Eve, meets the Ghosts of Christmas and learns a few life lessons along the way. The orchestra draws inspiration from rock and heavy metal, then adds in elements of classical music. French conductor and vocalist Nathalie Stutzmann makes her Philadelphia Orchestra conducting debut at this performance. Since there is only one date for the popular concert, tickets are guaranteed to sell out. The Philadelphia Orchestra will perform the score to the 1990 comedy "Home Alone" while the movie plays on screen. In the film, Macaulay Culkin stars as Kevin McCallister. The 8-year-old boy is accidentally left behind from his family's Christmas vacation. While home alone he must defend the house from two thieves. Disney on Ice's "Follow Your Heart"
Disney on Ice is a family favorite at the Wells Fargo Center each year. 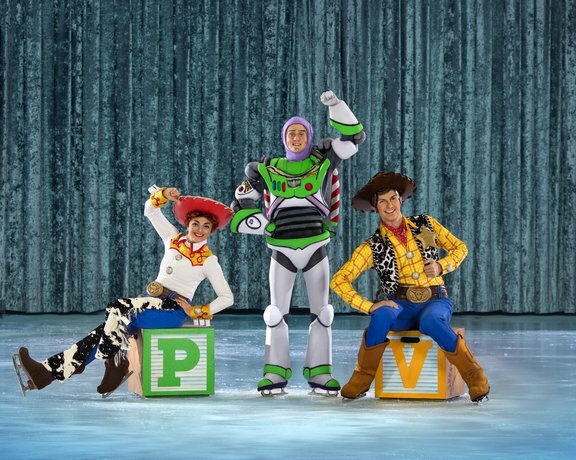 This year, characters from "Finding Dory," "Inside Out" and "Toy Story" will take to the ice. The princesses Anna, Elsa, Cinderella, Rapunzel and Ariel will also make appearances. Look out for Mickey and Minnie, too. “A Child's Christmas in Wales” will be performed at Independence Studio on 3. Dylan Thomas' iconic "A Child's Christmas in Wales" features both traditional and contemporary holiday music. The show is about being a kid and the comforts of family during the holidays.